Majas Doftljus "Summer Breeze" med ljuvlig doft av melon. Ljuslykta i silver med matt vit insida, vackert mönster och texten "Summer Breeze". 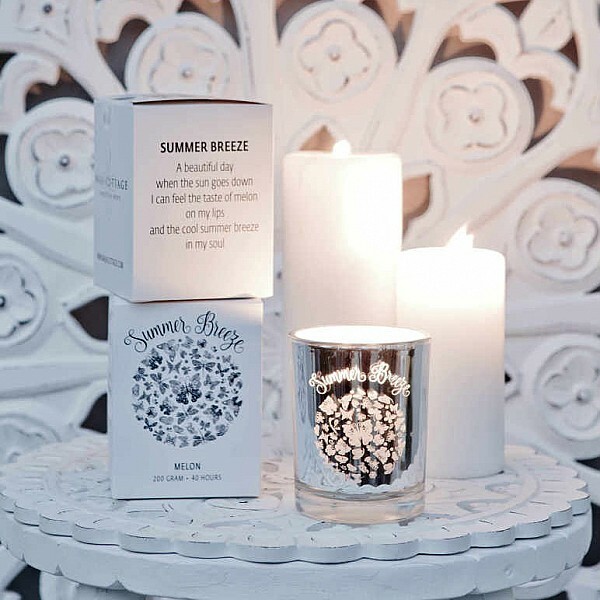 Fin presentförpackning med texten "SUMMER BREEZE A beautiful day when the sun goes down I can feel the taste of melon on my lips and the cool summer breeze in my soul". Brinntid ~40 h.
ThankfulnessChoose Happiness todayDarling you're a starSpringfeelingsCarpe DiemSummer BreezeWish it! Dream it! Do it!